This fall the perfume lovers will have some new books to anticipate. 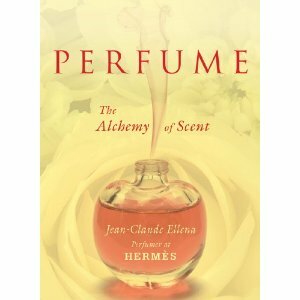 Pictured above is the English translation of perfumer Jean-Claude Ellena’s Le Parfum. Perfume: The Alchemy of Scent contains Ellena’s views on perfumery, marketing, materials and composition. The book is full of many interesting details about his own creative process, but on the whole, it is a general analysis. Available for pre-order on amazon.com. The official launch is November 2011. 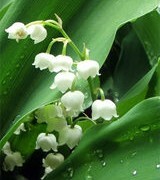 Tania Sanchez and Luca Turin are releasing The Little Book of Perfumes : The Hundred Classics on October 27, 2011. The material for the book is mostly taken from Perfumes: The Guide and Perfumes: The A-Z Guide, compiling the five star perfume reviews from those editions, plus a few extra reviews and articles. As Tania explains, “The new material includes a foreword by TS and an essay on the Osmothèque by LT; there are four reviews of long-lost, beautiful Osmothèque perfumes we tested during a presentation on perfume by the brilliant Patricia de Nicolaï, curator of the Osmothèque, at the French Embassy in Washington, DC, organized by Smithsonian Associates.” Available for pre-order on amazon.com, where you can also take a peek inside the book. Also available for pre-order is Scent and Chemistry : The Molecular World of Odors by Günther Ohloff, Wilhelm Pickenhagen and Philip Kraft. This much anticipated book (at least, by me!) will be released later this fall. 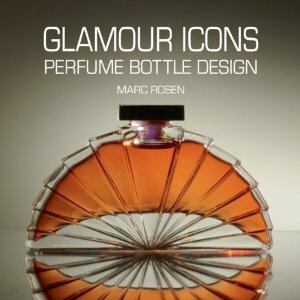 Those interested in perfume bottles should take a look at the new book by Marc Rosen called Glamour Icons: Perfume Bottle Design. At first, I bought it as a gift for a bottle collector friend, but I ended up picking a copy for myself, because not only it is a beautifully illustrated book, it is also filled with fascinating infromation about the art of bottle design. Glamour Icons is a collection of Marc Rosen’s remarkable bottle designs, as well as a selection of perfume bottles from the last century that he considers iconic. It abounds with industry back stories never published before about working at his first job with Revlon founder the imperious Charles Revson, his career at Elizabeth Arden, his collaboration with the fashion houses of Chloé, Karl Lagerfeld, Fendi, Perry Ellis, Ellen Tracy, and Jill Stuart, as well as with celebrities such as Joan Rivers, Christina Aguilera and Celine Dion. The book recounts intriguing stories about working with Princess Grace of Monaco and Saudi Prince Fahad and about the experience that changed his life, working on a fragrance with Arlene Dahl, one of Hollywood’s most glamorous leading ladies, and marrying her, as well. Marc Rosen is the first perfume bottle designer to write a book about his craft, and to describe the design process from original sketches to models, to working with glass manufacturers on engineering drawings to actual production. He shares his insights into creating the logo, graphics, colors, boxes and counter displays, as well as the “theater of the launch.” Glamour Icons documents perfume bottles, their history, their place in society and their inspiration. Illustrated with amazing photographs by Vincent Ricardel, the book also contains Rosen’s personal photographs and artwork given to him by many of the people he has worked with. Victoria: Your son seems very precocious, and how great that he shares your interest. 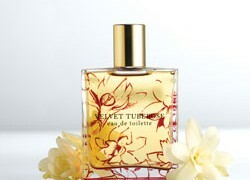 Emma: I looked at Luca Turin’s The Little Book of Perfumes yesterday at Barnes & Noble, how disappointing! For $20, there was no way I was going to buy this one. What Luca Turin and Tania Sanchez call “The hundred classics” is simply their favorite fragrances, not conventional classics therefore in the book there is no review, none whatsoever of Frederic Malle and Annick Goutal (not that I’m particularly fond of these perfumers myself but still) however amongst their must-have classics, Tommy Girl and Beyond Paradise, like really?? The 2011 updates are for the most part one-liners at best when I was expecting complete new reviews.